It was fun to create a thoughtful card design for our client’s anniversary. It was challenging developing an elegant design that included lilies, magpies, and her favorite colors, but we are happy with the design results. Also, although he was in a rush we were able to give him something he can be proud to give to the woman he loves. Addie Is definitely one of the best in the business!! I gave her a project I was struggling on putting onto paper. I had the words but not the design down. I wanted to make a nice little surprise gift for my girlfriend on our 1 year anniversary. I decided on making a little love letter on a business card so she can carry it around with her if she wanted. I had the determination but not the creative skill and our anniversary was tomorrow. I went to look for design assistance and I stumbled upon her and she exceeded my expectations!!!! I gave her the words I wanted, the colors and the objects I wanted to use and let her roll with the rest. Now I had a vague image in my head of this card and what she gave me put my imagination for this to shame. I saw the design and read the words I had written and seeing it all come together like this brought tears of joy to my eyes and I know it will do the same for her. She also got all this done in time for our anniversary and I am really grateful for this. I will definitely be using her for any future projects I need. 1000/10 will use again!!! 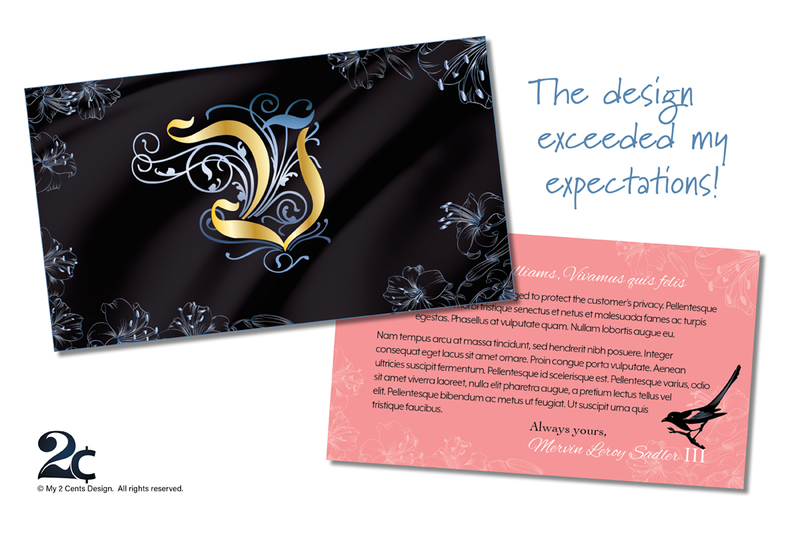 Creating custom, thoughtful, and professional print-ready designs is what we enjoy! To get your free consultation, click here to contact us today!